STROUDSBURG, Pa. (WPVI) -- A Baruch College fraternity has been found guilty of involuntary manslaughter and other offenses for the 2013 hazing death of a pledge in a rented home in Pennsylvania's Pocono Mountains. 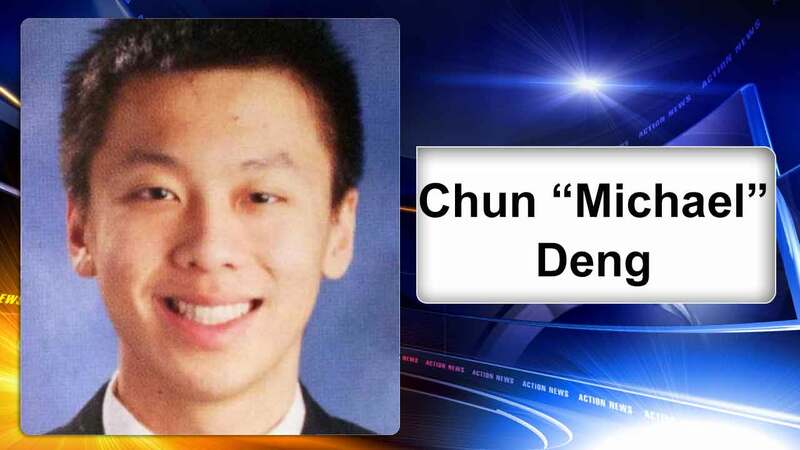 Jurors announced the verdict Tuesday against the Pi Delta Psi fraternity after six days of testimony in the death of freshman pledge Chun "Michael" Deng of New York. The fraternity was also found guilty of aggravated assault, hazing, hindering apprehension and conspiracy. It was acquitted of the most serious offenses it faced, third-degree murder and voluntary manslaughter. Its lawyer told the Pocono Record the fraternity plans to appeal. Four members of the now-closed fraternity chapter previously pleaded guilty to voluntary manslaughter and await sentencing. Authorities have said Deng was knocked unconscious and suffered a fatal head injury during a "gauntlet" ritual in which he was blindfolded and carried a weighted-down backpack across a yard in the home about 100 miles west of New York. The newspaper said Deng had to get past groups of fraternity brothers who shoved or tackled him, and witnesses said he was subjected to the most violence because he fought back. Court records indicate fraternity members tried to revive him on their own, changed his clothes and searched online for information about his symptoms before driving him to a hospital an hour later. He died the next day of a brain injury. Prosecutors are seeking a fine and a statewide ban when the fraternity is sentenced. Pledges at at least four fraternities in the country have died this year, including 19-year-old Tim Piazza of Lebanon, New Jersey. Piazza suffered fatal injuries and drank a dangerous amount of alcohol during a night of hazing in February at the Beta Theta Pi chapter at Penn State. Twenty-six people face charges related to Piazza's death.